Our individual life journey leads us through health and ailments. Sandy’s story to Hair Loss Treatments was a constant battle with polyps and sinus requiring prescription medication and surgeries to help ease the painful symptoms and also the birth control ‘pill’. 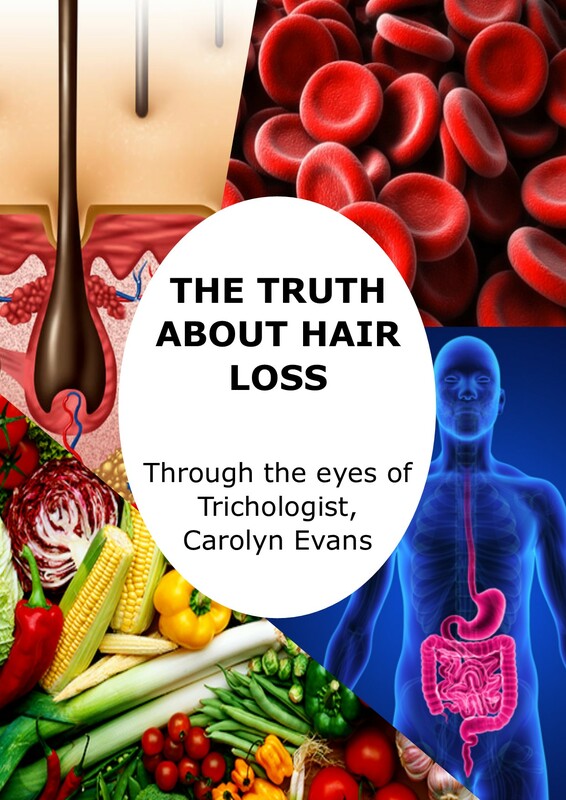 ‘Hair Health Check’ Microscopic Diagnosis found Sandy had an interrupted hair cycle and the hair cells were not dividing replicating her genetic hair and many dormant empty hair follicles in her hair cycle terminal area plus female pattern thinning (FMPT). The combination of both problems explained the reason for hair thinning Sandy was experiencing. 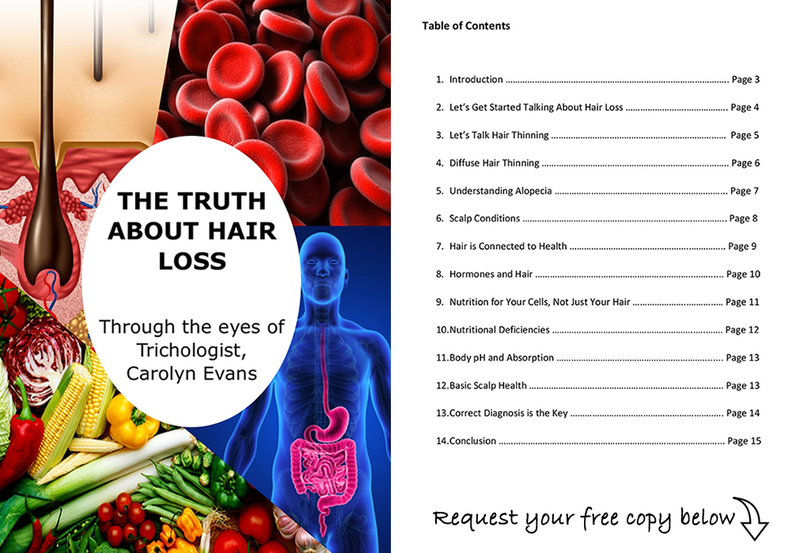 Causes of hair thinning problems can sometimes be hard to find but in Sandy’s case it was obvious that the medications were the cause “starting or stopping any medication that causes systemic changes can cause diffuse hair loss and interrupt the hair cycle”. The inclusion of synthetic hormones from the ‘pill’ also leaves the body in a state when it is introduced or taken away. Modern living requires medications as a part of life and can save us from many misfortunes, but they can have side effects, and in some cases it is hair loss or hair thinning. So far we have a diagnosis for Sandy with past and recent causes knowing the fact Sandy stopped the pill recently which triggered another bout of diffuse hair loss adding to the hair thinning. We know we are on the right track. Sandy’s Hair Loss Treatments program included initial 12 x In Clinic correction services for the hair cycle and hair cell combined with HomeCare Hair Loss Treatments for FMPT with nutritional therapy for cellular correction the immune system. Below are Sandy’s Before and After Hair Loss Treatments images digital and microscopic taken 10 months apart. Sandy is continuing her HomeCare Hair Loss Treatments as we can see with the microscope that more new hairs continue to appear and Sandy reports having more hair now that she ever remembers. “Last treatment session done & I’m now looking forward to my scope session in a couple of weeks to see the results. Thanks to the team at Absolique for helping me resolve my hair and scalp issues and providing advice and support during my treatment sessions. I now have the tools to ensure a lifelong healthy scalp to encourage further hair growth. Sandy’s Story to Hair Loss Treatments.